4. 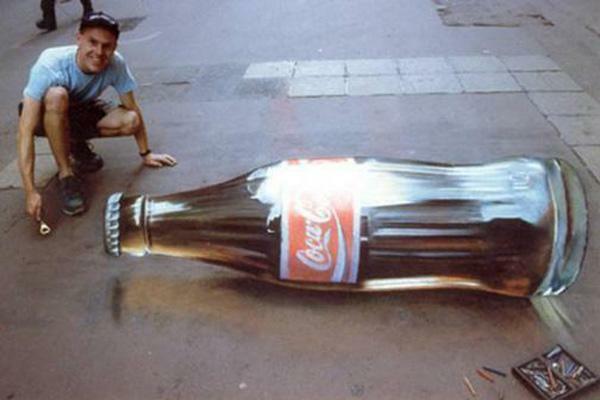 Coca Cola Illusion – Often, inspiration for 3D art is found in popular objects from our everyday. Here, it is found in a classic Coke bottle. There are different views on the definition of 3D art. If we choose to accept that all of the sculpture, installations, beading, any type of artwork that can be touched or seen from all sides, is three-dimensional art, then we can say 3D art is as old as the art itself. 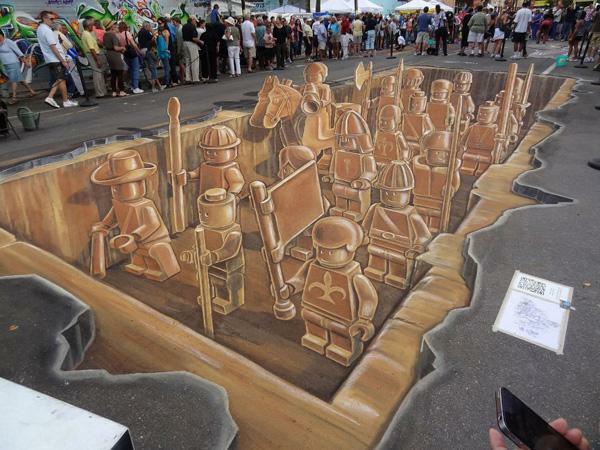 The first association for 3D art for some may be the street painting or chalk art with stunning realistic effect, or just any type of painting giving out the impression of depth and reality. Also, 3D art is the term used for computer art, produced with specialized software, which makes characters and concept art for various programmes, games and computer based platforms. All of these forms are three-dimensional in their own right, and all of them can be named and understood as 3D art, but we will focus on contemporary three-dimensional pictures, which always seem to ignite the imagination. 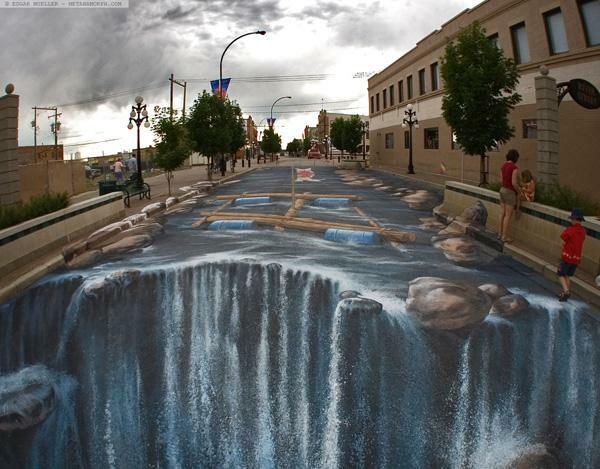 Street painting, chalk art, pavement art or sidewalk art is the form of 3D art which is executed in the street. This is one of the oldest forms of three-dimensional painting, and its origins can be traced back to the 18th century. In 19th century, street painters called “screevers” were a common thing in England, and the number of these sidewalk creatives only increased throughout the following centuries. 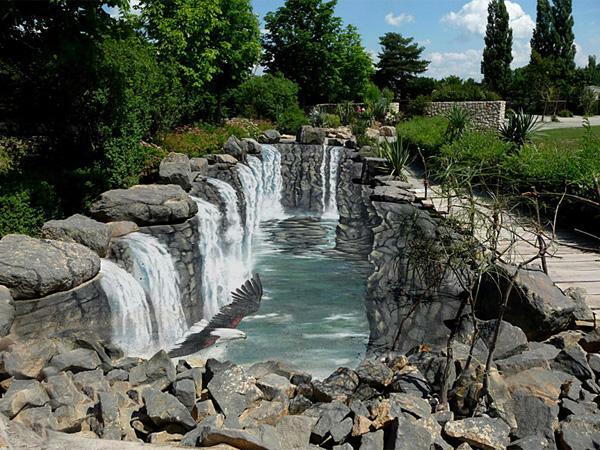 This 3D art can be seen as a form of graffiti, but it is actually based in pictorial, rather than in linguistic world. It is a two-dimensional picture, which when observed from a certain angle, gives an illusion of a three-dimensional scene. These scenes can be very different, ranging from depictions of figures, false architectural objects and city elements, to elaborate landscapes, rivers and waterfalls. The realistic picture produces a phenomenal impression, and if a person is positioned over it properly, it can appear as though they entered the painted scene. People generally love and encourage street painting, as it brings an interesting and joyous note into their daily routines. The same effect of illusion can be created when painting a drawing or a canvas piece, but it is not as common to identify studio artwork with three-dimensional characteristics as 3D art. This type of art is generally associated with other styles, although it is overtly illusionistic. 3D drawings can be used as practice for large street compositions, since the technique requires great skill and patience, not to mention the talent. 3D computer art or computer graphics are still images produced with the help of advanced artistic software, modelled with the help of various geometric shapes. Often referred to as 3D models, these images are actually mathematical representations of real objects. These models are not necessarily bound to the binary world, as they can be printed with 3D printer. When kept virtual, 3D art created with the help of computer showcases characteristics closest to photographic reality. The images produced in this way can emulate the real world so fairly, that it is sometimes difficult to differentiate between a photograph and a computer image. They have many uses, and as technology constantly advances, we are hoping to be even more surprise by the new visuals coming from the virtual realm. 3D art is a new term for a very old way of visual expressing. Artists have always strived towards perfect representations of nature, which is today easily achieved with the use of contemporary devices. Still, there is something charming and particularly appealing in many 3D works of art made by human hand. 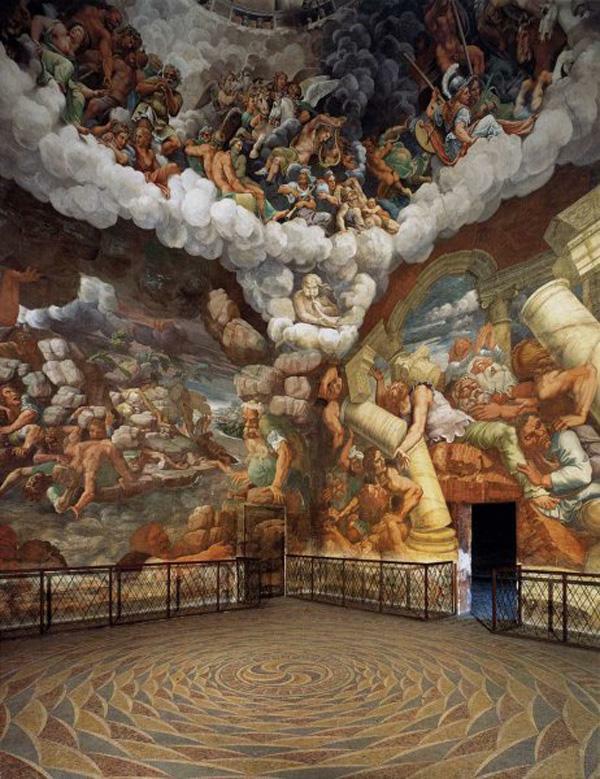 The illusionistic 16th century frescoes executed by Giulio Romano were one of the origins of 3D art. The artist creates an illusion of third dimension using only a sketchbook and colored pencils. There is a whole museum dedicated to illusionistic art in Thailand. 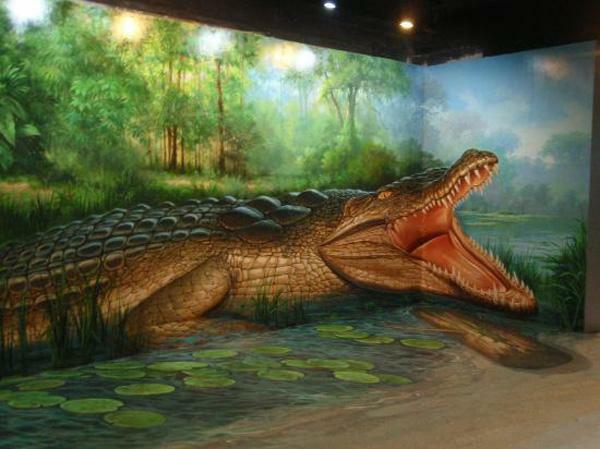 Rooms are filled with large murals, all of which can be photographed, appearing very real, from surfing waves to crocodiles. 8. 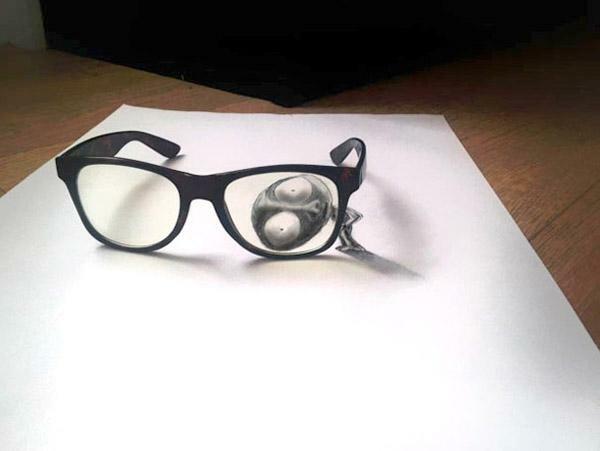 Eyeglasses – Simple, elegant and quirky – this 3D image is only a drawing, but it looks real. Who would think this girl does not exist? Since real women are rendered so much through same programmes, who can differ the reality from imagination? 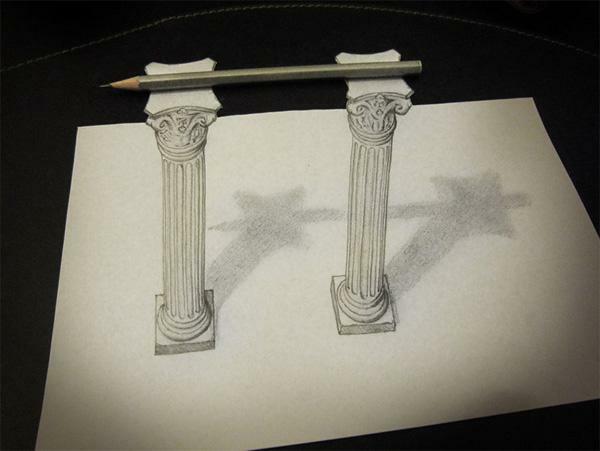 A lovely 3D drawing representing two Corinthian columns. 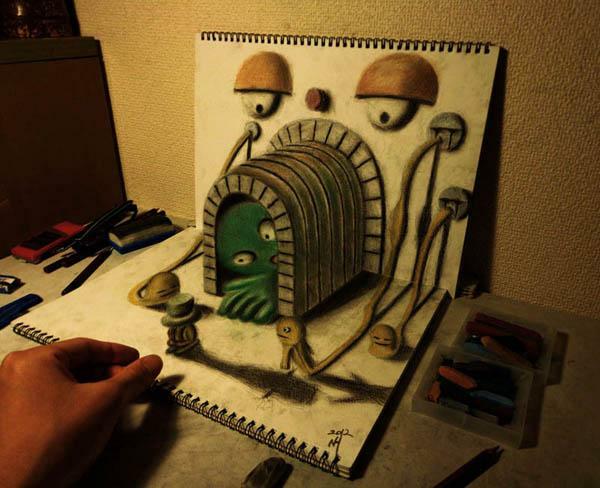 This is to show 3D art can be created with pencil and paper alone. A part of the park of a town in Czech Republic was turned into a wonderful waterfall oasis. Often is 3D art used in marketing. 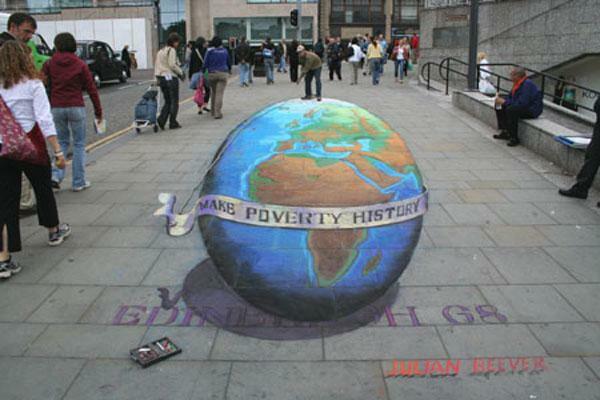 This globe picture is to invite people fight poverty. A young painter creates images based on rules of hyperrealism. 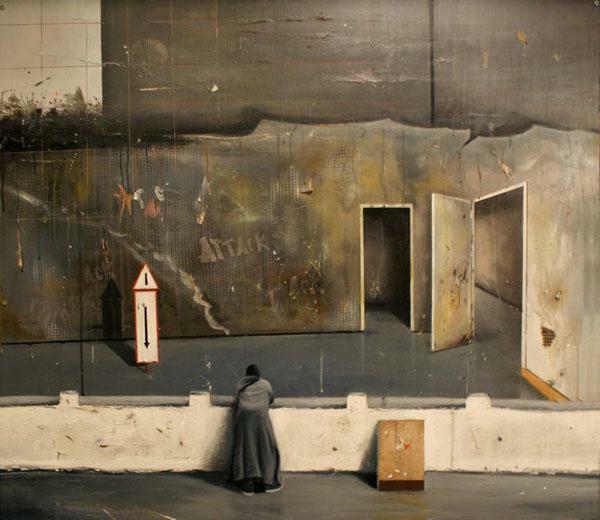 This canvas painting exudes depth of the real world, it seems as though we can enter the scene. 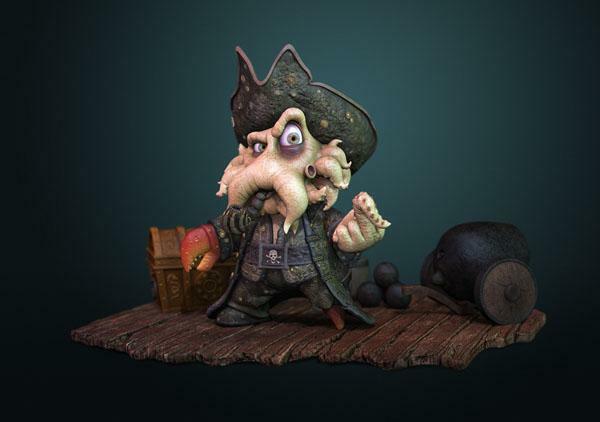 A wonderful rendering of a classic Pirated of the Caribbean character by computer 3D artist. 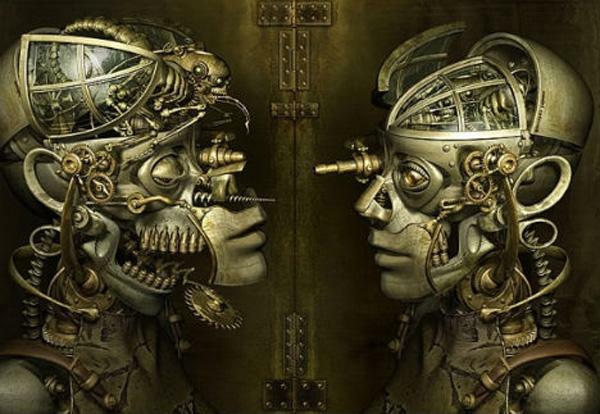 Another 3D artist who creates steam-punk imaginative robot pictures with the help of software. 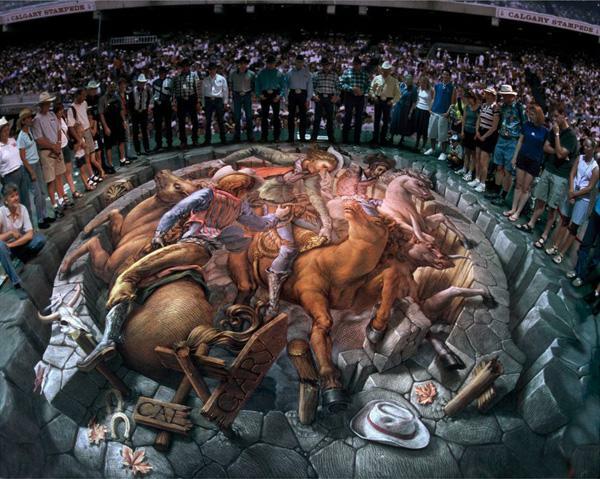 One of the most famous 3D artists today, Kurt Wenner, created a fictional rodeo in a Canadian town. The four artists teamed up to make this incredible vision of a Lego army, monochrome, but right within our reach. 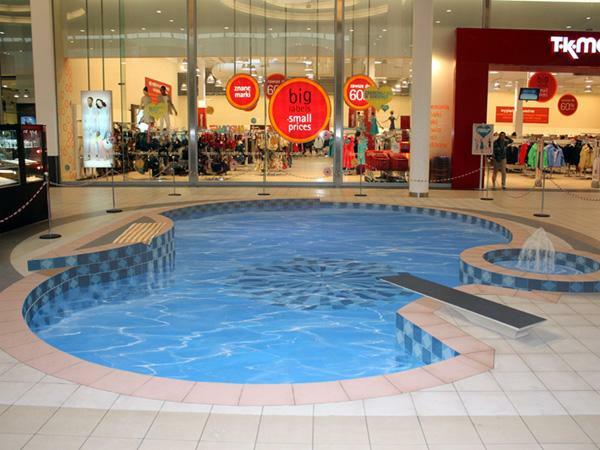 A pool was created to lively up a shopping mall in Lodz, Poland. Hopefully, nobody jumped in. 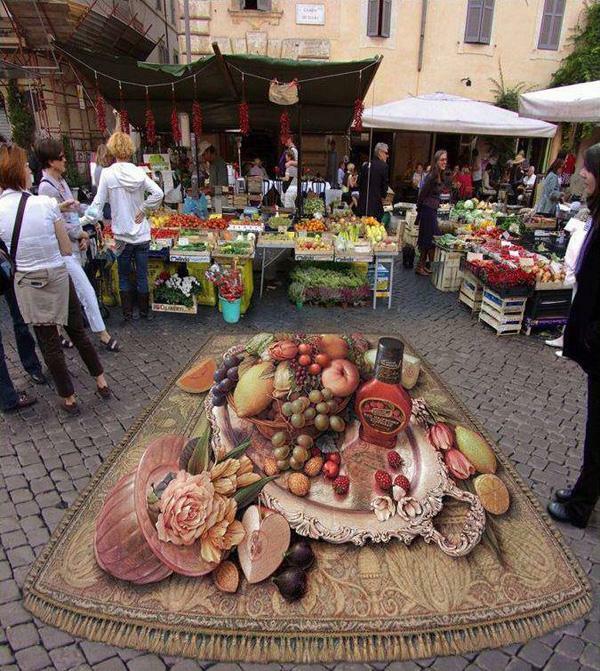 Beautiful 3D still life image, painted on the floor of a green market. It compliments the gourmet atmosphere ideally. 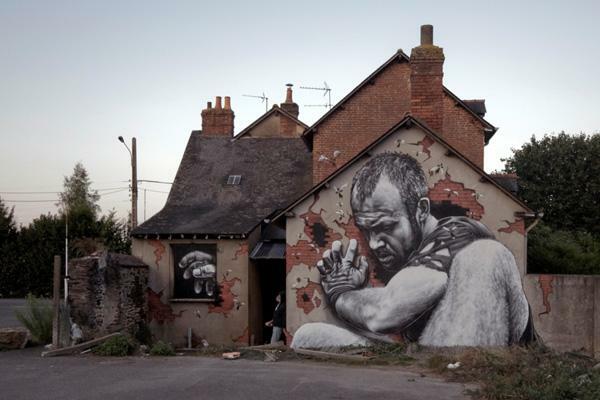 Street artist MTO created a series of large 3D murals in Rennes, France. His wall paintings resemble giants attempting to enter people’s homes. Stunning and scary at the same time. 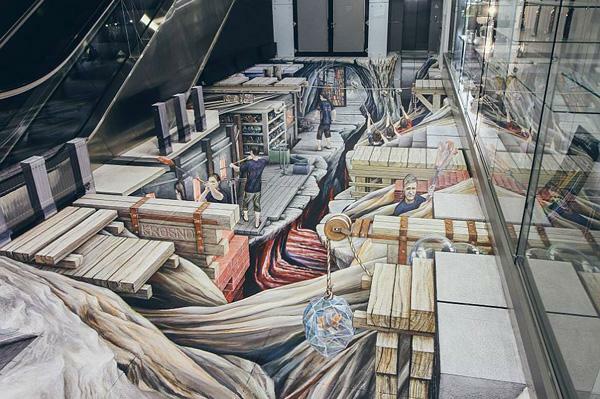 The artist painted the interior floor of a building, revealing a “hidden world” underneath. 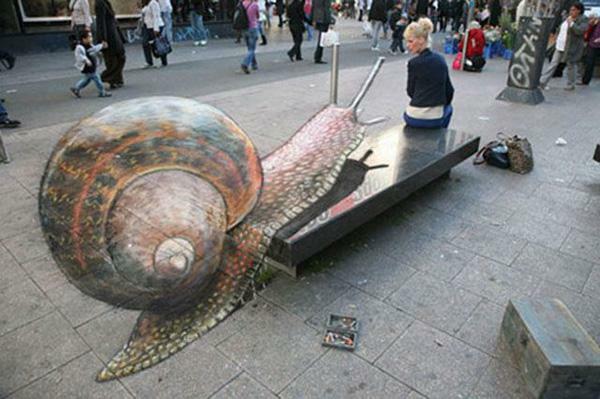 This snail seems to be attacking the lady! Such a great pavement picture, executed over flat and elevated surfaces together. Whole street turned into a river ending with a waterfall. It looks joyful, but unfortunately, it’s only a picture on the asphalt.